Welcome to Sal’s Pizza of Newport News! 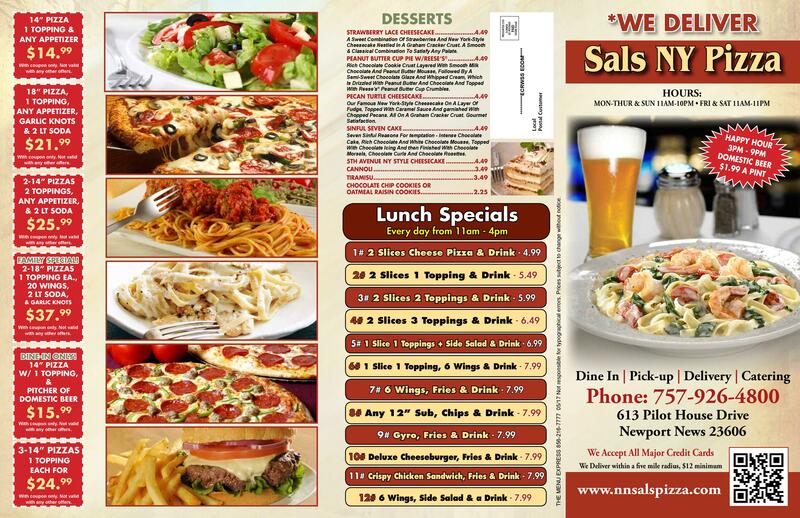 Sal’s NY Style Pizza is a dine-in, take-out, and delivery restaurant located in Newport News, Virginia. Please check out our menu items and other information below. Thank you for visiting our website! Click here for easy online ordering! Call us at (757) 926-4800 to place an order or to contact us with questions or catering requests. 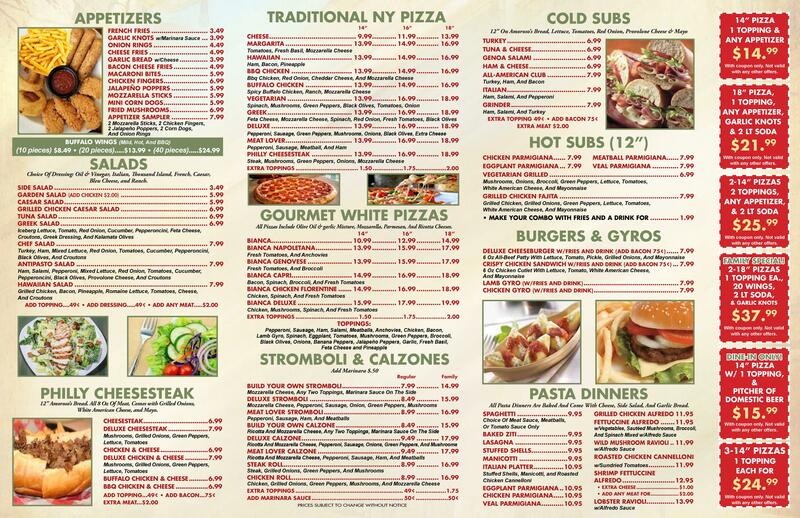 Click for a PDF version of our menu! Click the pictures below to see our coupons and to-go menu! Our lunch specials make your belly and your budget happy! Try one of our delicious specialty pizzas! Zesty pizza dough filled with tasty toppings! Treat yourself with a white pizza today! Our pasta dishes are fresh-baked to order! Why not have a juicy Philly Cheesesteak? Or make it a combo for only $1.99! Fresh-made cold subs make a great meal! Especially as a combo for just $1.99! How about a toasty sub, burger, or gyro? Available as a combo, just $1.99 more! Eating healthy? Try one of our salads! Our appetizers are great for sharing! Decadent desserts for your enjoyment!